This cream conditioner comes packaged in a tube, but the cap-dispensing mechanism is a bit different. Twist the cap to open, but do not try to pull it open completely. Twisting the cap opens the small dispensing hole on top of the cap. Squeeze out the desired amount of product and twist the cap close. Take off the product on to hand and apply. As might be obvious from the photos, the packaging of this product is a major talking point for me. 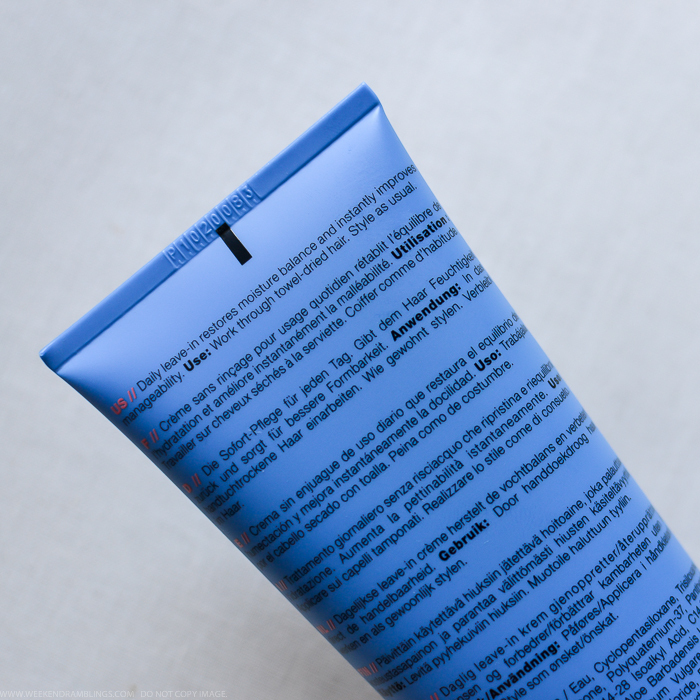 The KMS Moist Repair Revival Creme comes packaged in a simple tube, and I am sure I am not the only person out there who would try to open it just like any other tube - twist and take out the cap. Well, pull and turn as hard as I might, the cap just would not come off. By some fortunate mistake, though, I happened to squeeze on the tube and some product got dispensed from the center of the cap, which is when I noticed it's unique (to me) design. Anywho, now that I have mastered the art of using this tube packaging, it's actually quite nice and keeps the tube clean. Not sure how it would hold up with travel, though. Moving on to the product itself, this cream conditioner looks much like a thick lotion and has a faint coconutty fragrance to it. To use, take a small amount of product and work through towel-dried hair. 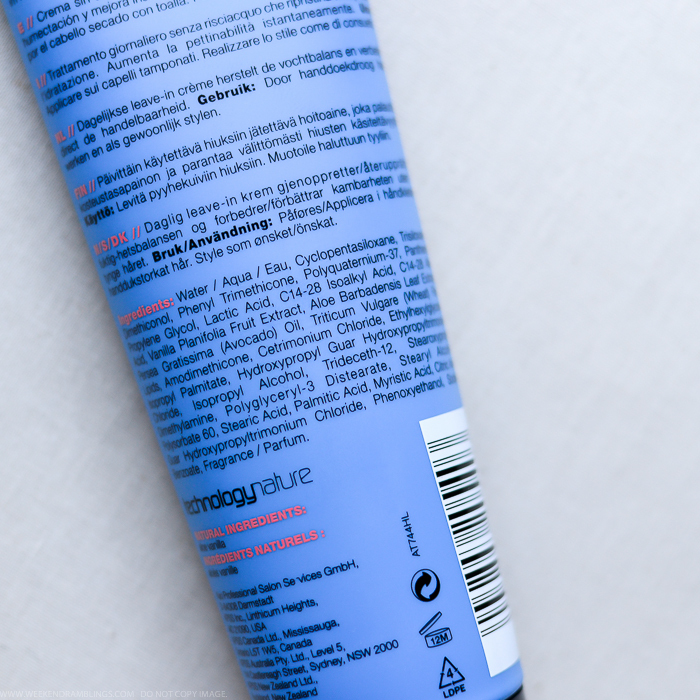 The creme feels quite light and disappears into the hair without making it look weighed down or greasy. It does have a lot of oils in it, though, and I only use a small amount of product, concentrating more product at the ends of the hair and lesser towards the top. I don't notice any immediate change in smoothness or softness of my hair, but I do notice that it looks a lot more well-behaved and manageable through the day. 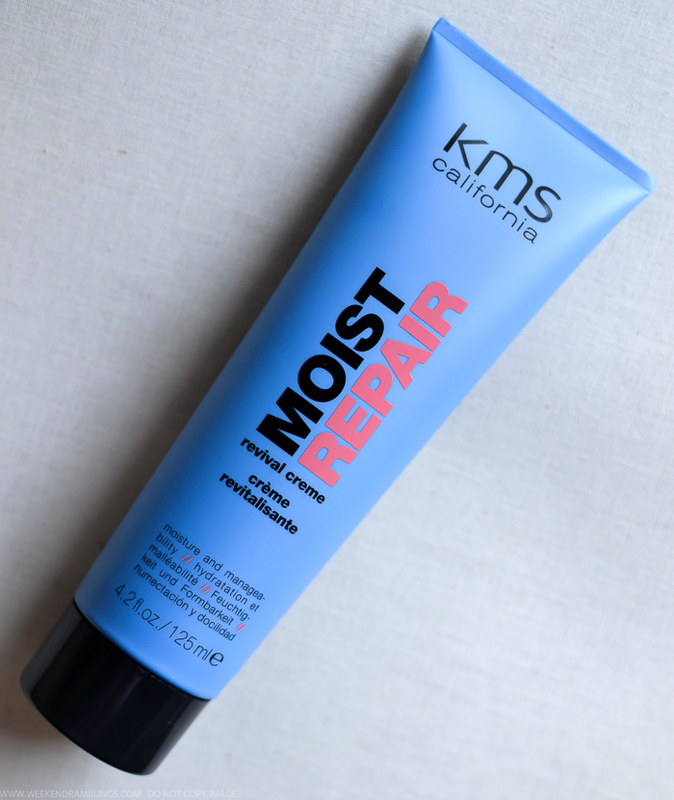 As a leave-in conditioner, I think the KMS Moist Repair Revival Creme would work best on dry, unruly/coarse hair. It leaves my hair looking softer, and there is no visible greasy shiny look to my hair. It can build up, though, and can make hair look limp if too much product is used. 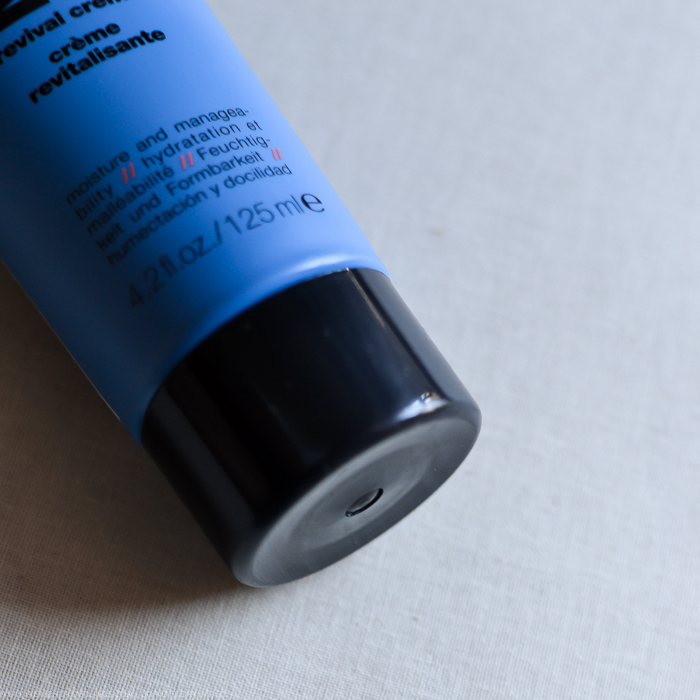 Overall, KMS Moist Repair Revival Creme is a nice leave-in product to add a little extra moisture and nourishment into the hair. It's not meant to be a substitute for regular conditioners, but it definitely helps with making hair more manageable as it dries. Links in post are for information only and are not affiliate links.